Georgia Tech School of Electrical and Computer Engineering professor Manos Tentzeris holds a sensor (left) and an ultra-broadband spiral antenna for wearable energy-scavenging applications. Both were printed on paper using inkjet technology. "There is a large amount of electromagnetic energy all around us, but nobody has been able to tap into it," said Manos Tentzeris, a professor in the Georgia Tech School of Electrical and Computer Engineering who is leading the research. "We are using an ultra-wideband antenna that lets us exploit a variety of signals in different frequency ranges, giving us greatly increased power-gathering capability." Tentzeris and his team are using inkjet printers to combine sensors, antennas and energy scavenging capabilities on paper or flexible polymers. The resulting self powered wireless sensors could be used for chemical, biological, heat and stress sensing for defense and industry; radio frequency identification (RFID) tagging for manufacturing and shipping, and monitoring tasks in many fields including communications and power usage. A presentation on this energy scavenging technology was given July 6 at the IEEE Antennas and Propagation Symposium in Spokane, Wash. The discovery is based on research supported by multiple sponsors, including the National Science Foundation, the Federal Highway Administration and Japan's New Energy and Industrial Technology Development Organization (NEDO). Communications devices transmit energy in many different frequency ranges, or bands. The team's scavenging devices can capture this energy, convert it from AC to DC, and then store it in capacitors and batteries. The scavenging technology can take advantage presently of frequencies from FM radio to radar, a range spanning 100 megahertz (MHz) to 15 gigahertz (GHz) or higher. Scavenging experiments utilizing TV bands have already yielded power amounting to hundreds of microwatts, and multi-band systems are expected to generate one milliwatt or more. That amount of power is enough to operate many small electronic devices, including a variety of sensors and microprocessors. And by combining energy scavenging technology with supercapacitors and cycled operation, the Georgia Tech team expects to power devices requiring above 50 milliwatts. In this approach, energy builds up in a battery-like supercapacitor and is utilized when the required power level is reached. The researchers have already successfully operated a temperature sensor using electromagnetic energy captured from a television station that was half a kilometer distant. They are preparing another demonstration in which a microprocessor-based microcontroller would be activated simply by holding it in the air. Exploiting a range of electromagnetic bands increases the dependability of energy scavenging devices, explained Tentzeris, who is also a faculty researcher in the Georgia Electronic Design Center at Georgia Tech. If one frequency range fades temporarily due to usage variations, the system can still exploit other frequencies. 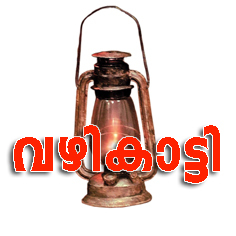 The scavenging device could be used by itself or in tandem with other generating technologies. For example, scavenged energy could assist a solar element to charge a battery during the day. At night, when solar cells don't provide power, scavenged energy would continue to increase the battery charge or would prevent discharging. Utilizing ambient electromagnetic energy could also provide a form of system backup. If a battery or a solar-collector/battery package failed completely, scavenged energy could allow the system to transmit a wireless distress signal while also potentially maintaining critical functionalities. The researchers are utilizing inkjet technology to print these energy scavenging devices on paper or flexible paper-like polymers -- a technique they already using to produce sensors and antennas. The result would be paper-based wireless sensors that are self powered, low cost and able to function independently almost anywhere. To print electrical components and circuits, the Georgia Tech researchers use a standard materials inkjet printer. However, they add what Tentzeris calls "a unique in house recipe" containing silver nanoparticles and/or other nanoparticles in an emulsion. This approach enables the team to print not only RF components and circuits, but also novel sensing devices based on such nanomaterials as carbon nanotubes. 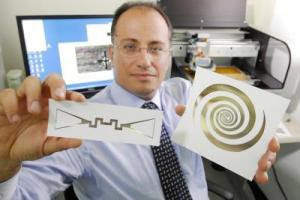 When Tentzeris and his research group began inkjet printing of antennas in 2006, the paper-based circuits only functioned at frequencies of 100 or 200 MHz, recalled Rushi Vyas, a graduate student who is working with Tentzeris and graduate student Vasileios Lakafosis on several projects. "We can now print circuits that are capable of functioning at up to 15 GHz -- 60 GHz if we print on a polymer," Vyas said. "So we have seen a frequency operation improvement of two orders of magnitude." Airport security: Airports have both multiple security concerns and vast amounts of available ambient energy from radar and communications sources. These dual factors make them a natural environment for large numbers of wireless sensors capable of detecting potential threats such as explosives or smuggled nuclear material. Energy savings: Self-powered wireless sensing devices placed throughout a home could provide continuous monitoring of temperature and humidity conditions, leading to highly significant savings on heating and air conditioning costs. And unlike many of today's sensing devices, environmentally friendly paper-based sensors would degrade quickly in landfills. Structural integrity: Paper or polymer-based sensors could be placed throughout various types of structures to monitor stress. Self powered sensors on buildings, bridges or aircraft could quietly watch for problems, perhaps for many years, and then transmit a signal when they detected an unusual condition. Food and perishable material storage and quality monitoring: Inexpensive sensors on foods could scan for chemicals that indicate spoilage and send out an early warning if they encountered problems. Wearable bio-monitoring devices: This emerging wireless technology could become widely used for autonomous observation of patient medical issues (Science Daily July 8 ,2011).